Many of the iPhone users jailbreak their device to enjoy the awesomeness of several tweaks which can be applied only on Jailbreak devices. Cydia sources are the homes of several funny, innovative and unique tweaks. 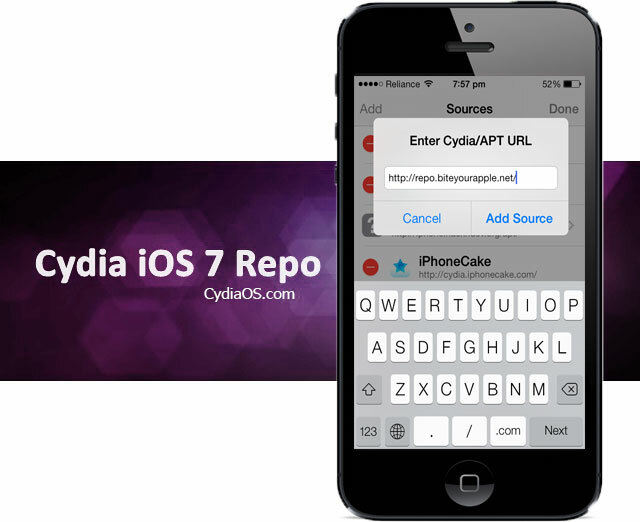 If you have jailbroken your device recently then you must be searching for the best Cydia sources for iOS 7 and so we thought of writing an article on Top 5 Cracked Cydia Sources for iOS 7. Using Cydia sources you can install the paid apps absolutely for free. But in order to do that you need to know the cracked Cydia sources from where you could download those apps. So as to provide the best result we had done a little bit of research as an iPhone user and found the best Cydia sources which will help you take your iPhone experience to the next level. 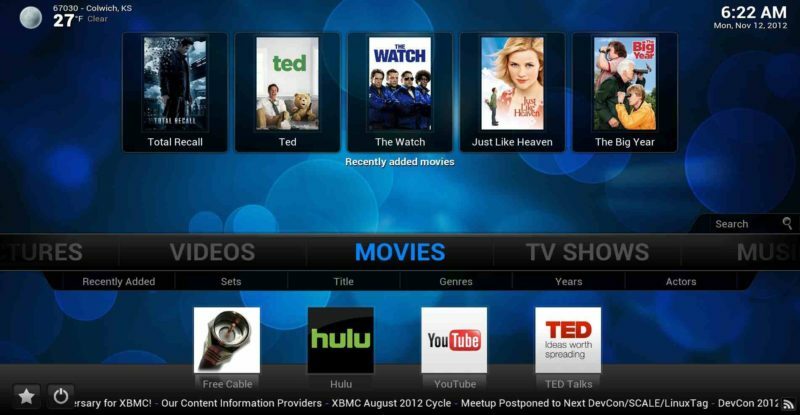 You can try all the sources and enjoy the tweaks hosted on the sources. Some sources are insanely popular and you might have heard about them. In this guide we will guide you how to add those Cracked Sources to your cydia. The sources we are mentioning below are compatible with iOS 7 as we have personally tested them on iPhone 4S & 5S. 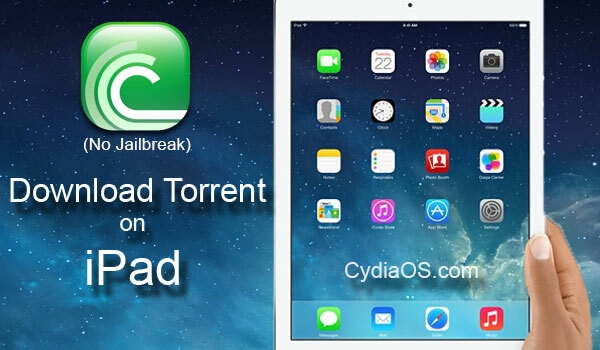 So here goes our list of 5 Best Cracked Cydia Sources for iOS 7. Try all the sources and give us your feedback. 1. HackYouriPhone :- HackYouriPhone is the one of the best iPhone Cydia source which is insanely popular among the iPhone users who had jailbroken their devices recently. The source hosts a wide range of tweaks ranging from iPod 2G to latest iPhone 5S. 2. BiteYourApple :- In our list BiteYourApple is the second largest Cydia Source which is not only popular but also the best cydia source available out there which hosts a number of popular tweaks. BiteYourApple hosts hell lots of cracked iPhone and iPad apps, tweaks and Theme. It also host wide range of free tweaks which are paid in few other sources. 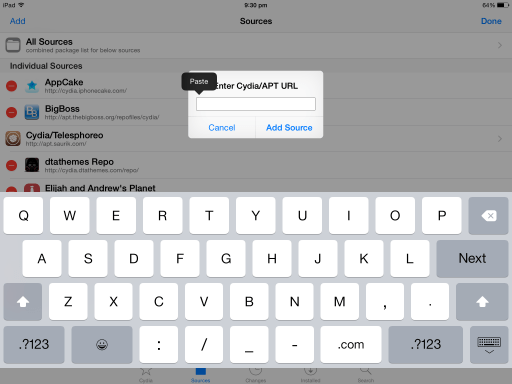 So BiteYourApple is a must add Cydia Repo for iOS 7. 3. iHacksRepo:- iHacks repo is another cydia store which is the home of several Cydia Tweaks and Themes for your Jailbroken iPhone. 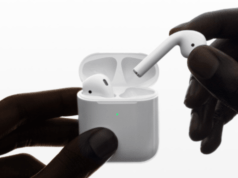 You can almost get any cracked tweak on this source. 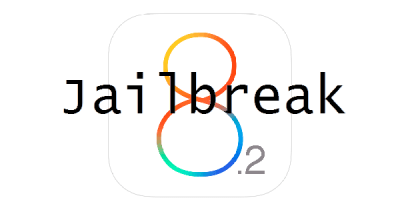 4. xSellize :- In our list of Top 5 Cracked Cydia Sources for iOS 7 the next source we are going to show you is xSellize. This source is also popular which hosts a lot of tweaks and mods. However there is a little problem with this repo, everytime you try to check screenshot of any of the tweaks hosted in this repo it will redirect you to download OLX app from Appstore. 5. iHackstore:- The final source in our Top 5 Cracked Cydia Sources for iOS 7 list is ihackstore which hosts a lot of popular tweaked or cracked versions of popular applications. So that’s it, please try all the 5 repo listed above. I hope you will like it. Thanks for following our guide. Please like and share it.